A confirmed nation of chocolate lovers, we consumed some 661million kg of cocoa-based products in 2012 alone. Yet despite this, more and more of us are becoming switched on to the health risks associated with some of our favourite confectionary items. Standard chocolate is laden with refined sugars, fattening dairy products and a ream of artificial additives that have been connected to a corresponding increase in obesity, type 2 diabetes, high blood pressure, heart disease and cancer that have left our beloved NHS struggling to cope. Which is why so many of us are swapping our commercial, shop-bought chocolate for healthier raw cacao-based products instead. Surprisingly though organic carob powder, a natural superfood extract that boasts a rich, chocolaty flavour, still remains largely undiscovered. This is a great shame, especially as this wholesome cocoa powder substitute can offer so many important health benefits. Organic carob powder is a powerful superfood product made from the reddish-brown, edible beans that grow on the carob tree (Ceratonia siliqua), an evergreen tree and member of the pea family that is native to Mediterranean areas of Southern Europe, Northern Africa and parts of the Middle East. Carob shrubs are exceptionally hardy and can continue to produce their carob pods for up to 100 years. Carob beans, which are sometimes called ‘honey locust’ or ‘St. John’s Bread’ (they are rumoured to have been eaten by John the Baptist during his spell in in the wilderness), are extremely nutritious and have been enjoyed as a valuable source of food and natural sugar in excess of five thousand years. In fact, the word carat (a unit that measures the purity of gold) was derived from the word ‘carob’. Nowadays carob beans are used to prepare locust bean gum, which is frequently added to baby formula, or dried and ground into organic carob powder that can be used as an alternative to organic cacao powder. As it is dried using extremely low temperatures, organic carob powder is teeming with beneficial nutrients, including vitamins (A, B1, B2, B3 and D), minerals (calcium, magnesium, iron, phosphorus, manganese and potassium), antioxidants, fibre and protein. Indeed organic carob powder is three times richer in calcium than chocolate and, according to Jennifer Vimbor, registered dietician and founder of Chicago’s Nutrition Counselling Services, just 3.5 ounces of organic carob powder will supply around half of the average person’s recommended daily calcium intake. Unlike cocoa powder, organic carob powder doesn’t contain either theobromine (which can be poisonous to some mammals) or caffeine, both known stimulants that can trigger restlessness, sleepless nights, irregular heartbeat and even withdrawal symptoms. Organic carob powder is also pleasingly free from oxalates – the potentially harmful ingredients found in chocolate that can inhibit our calcium absorption and possibly lead to kidney stones. The regular consumption of anti-allergic, antiseptic and anti-bacterial organic carob powder has been linked to a number of impressive health benefits, four of which are examined in more detail below. Approximately 29 million of us Brits are now considered either overweight or obese – a fact that the NHS believes is not only bad for our self esteem, but also responsible for the exponential rise in a number of chronic diseases, such as diabetes, heart disease and cancer. Unfortunately most fad diets are unsuccessful and only 2% of dieters are able to sustain their weight-loss long-term. Supplementing our diet with organic superfoods, such as organic carob powder for example, is however proving to be an effective tactic in the battle to lose weight. On average, organic carob powder contains one third less calories (only 13 calories per tablespoon) and seventeen times less fat than standard chocolate, making it a perfect cocoa substitute for those with an especially sweet tooth and who are subsequently struggling to shed those excess pounds. Research published in the “Journal of Nutrition” in 2006 revealed that consuming carob fibre increases fatty acid oxidation (a bodily process that breaks down fatty acids to release energy) and could thus have a positive impact on both calorie intake and body weight, a link that has also been highlighted by the US National Library of Medicine. In the UK, Coronary Heart Disease (CHD) is responsible for an astonishing 200 deaths per day, making it one of Britain’s biggest killers. Indeed, one in six men and one in nine women currently die from the disease, whilst an estimated 2.7 million people are living with the condition. A further 2 million are affected by angina, the most common symptom of CHD. Coronary heart disease is caused by atherosclerosis – a build-up of fatty deposits made from cholesterol and other waste products inside the walls of our coronary arteries, which restricts the supply of blood to our heart. Organic carob powder is not only entirely free from cholesterol; it also contains pectin, which actively reduces cholesterol levels and our corresponding risk of Coronary Heart Disease. A scientific study published in ‘Plant Foods for Human Nutrition’ in 2010 suggests that those taking carob fibre can lower their total cholesterol levels by around 18 percent and their LDL cholesterols levels (the unhealthy cholesterol that collects in the walls of our blood vessels to cause atherosclerosis) by a hefty 23 percent. At least one study by the Beth Israel Deaconess Medical Center demonstrated that carob showed significant promise in reducing cholesterol and researchers at Purdue University agree that carob plays an important role in helping to reduce cholesterol levels, offering many beneficial effects for our long-term heart health. Digestive complaints, such as constipation, diarrhoea, heartburn and bloating are extremely common. In fact, Dr Anton Emmanuel, consultant gastroenterologist at University College Hospital in London, estimates that around 40% of us suffer from at least one digestive symptom at any one time. The majority of digestive problems can be easily resolved by eating a healthy diet and especially one that is high in fibre. Fibre helps to both cleanse our intestines and regulate our bowel movements for effective relief from constipation and other bowel conditions, as well as ensuring the efficient elimination of harmful toxins and pollutants. One tablespoon of organic carob powder contains a whopping 10 percent of our recommended daily fibre intake, which is probably why it was such a popular digestive aid in Ancient Egypt. Furthermore the ‘Physical Nutrition’ website claims that carob performs a binding action within our intestinal tract that helps to prevent or treat the symptoms of diarrhoea, nausea, vomiting, acid reflux and upset stomachs in addition to regulating digestion. Organic carob powder should always be consumed with plenty of water however, and not used as a replacement for professional healthcare in the event of serious or unresolved illness. Organic carob powder is an extremely versatile superfood product that possesses a wonderfully sweet flavour and can therefore be used as a healthy alternative to sugar and artificial sweeteners. 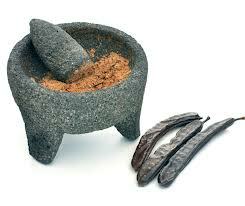 Its chocolate-like taste means that it can also be used in much the same way as organic cacao powder. Try using organic carob powder to add a delicious extra dimension to your favourite smoothies, nut milks, shakes, and protein drinks or to prepare a tempting range of rawfood snacks and desserts, including raw chocolate, cakes and biscuits. And don’t forget that organic carob powder creates a particularly synergistic flavour sensation when mixed with raw cacao products and organic maca powder. Rembrandt happens to be one of the best companies as far as teeth whitening formulae is concerned and they are pretty popular in the teeth whitening market. then brush it all over your teeth using your toothbrush or your finger. Great information. Lucmy me I recently found your site by accident (stumbleupon). advantageous for your business or personal use. easily forget a task or date of a special occasion. You stated she stopped speaking to you if you instructed her you needed to get again collectively. tout un tas de fonctionnalites relavant de la cuisine quotidienne. connect to the Net and do whatever you really feel like? Having been firm believers in the health benefits of carob our company produces a nutrition bars that have carob as a core ingredient. the body becomes weaker and the arthritis can occur. experiencing the same problems as Lexy had, give this a try and hopefully you will get the same results. I was looking for citations on the studies that you quoted. Your article was very informative and well written…however…information on the web can be copied incorrectly without citations. How do I know what you state is true? For an article’s credibility…it must have citations.